Tampa, Fl. 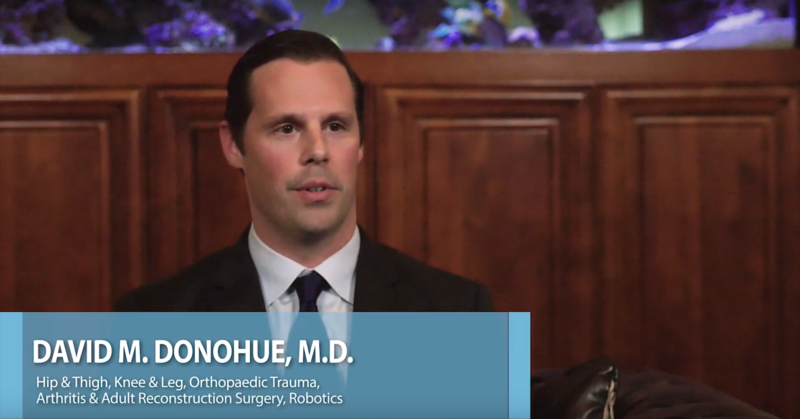 – February 28, 2019 – Florida Orthopaedic Institute (FOI) announces the recent hiring of Dr. David M. Donohue to its practice of more than 40 fellowship-trained physicians. Dr. Donohue is an orthopedic surgeon who is fellowship trained in orthopedic trauma and adult reconstruction and arthritis. Dr. Donohue began seeing patients February 25, 2019 at the Brandon, North Tampa and South Tampa offices in the Tampa Bay area.